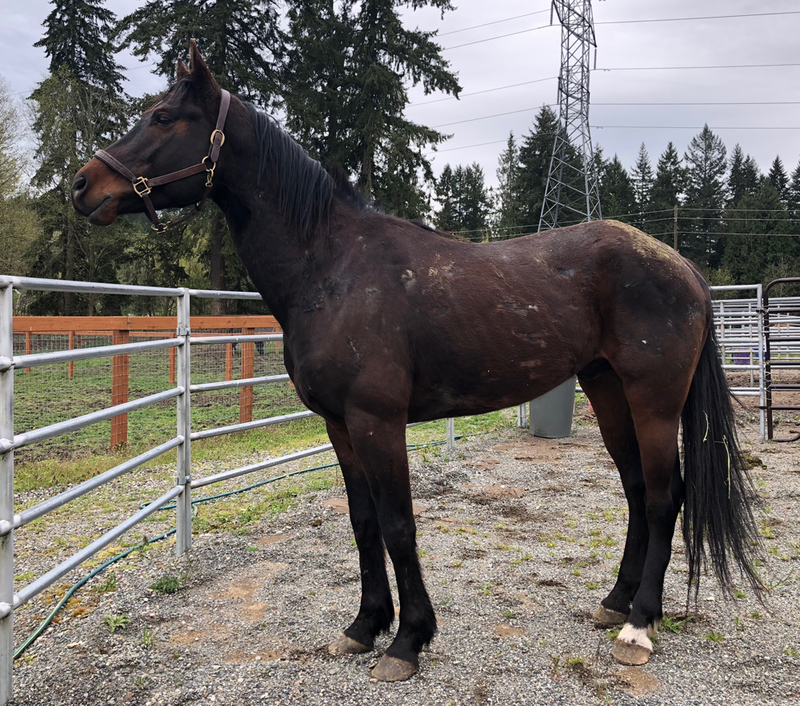 Orion is a tall, strapping young lad whose came to us with a body that looked like he’d been through a war…covered in scrapes and cuts. He also was apparently hit or kicked in the face at some point, which resulted in a fractured lower jaw and several teeth knocked askew. Once in our care, he had surgery to remove the broken teeth as well as the impacted and infected food that built up in the space, which made him feel much better. 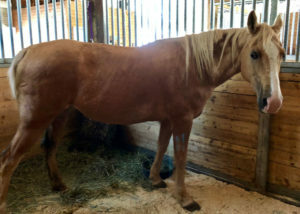 He also arrived with some swelling in one of his hind legs, but x‐rays came back clean and he appears to be sound on it. Orion was sent to trainer Nick Donahue to be started under saddle, and proved to be a very quick study! He was adopted straight from training by a very lucky adopter! We knew he was a special boy right from the beginning but we never imagined that this “diamond in the rough” would become such a fantastic riding mount. 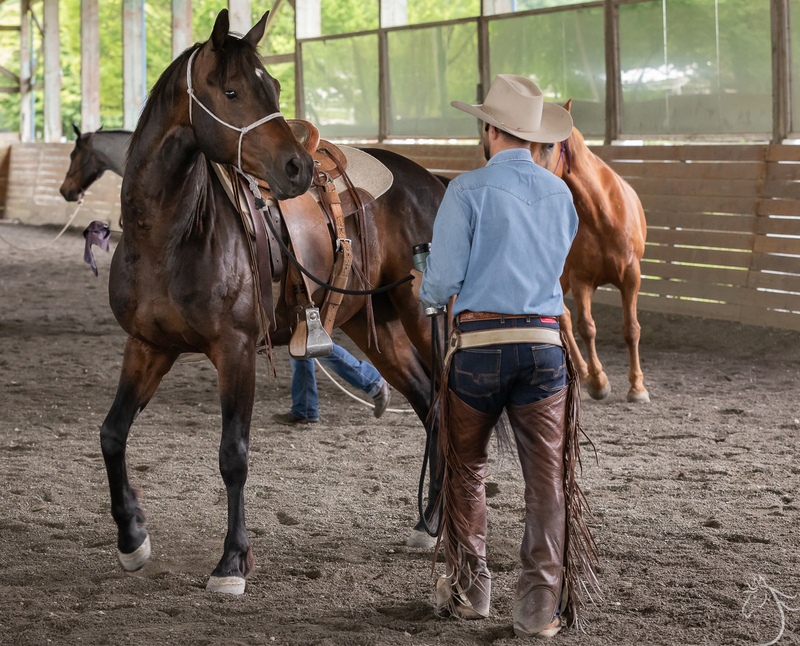 Orion met Roxanne in his final weeks of training with Nick Donohue at Sliver Spade Ranch. He had just completed a little over 60 days of training. Orion was just as Nick had described: athletic, gentle, and uncomplicated to ride. 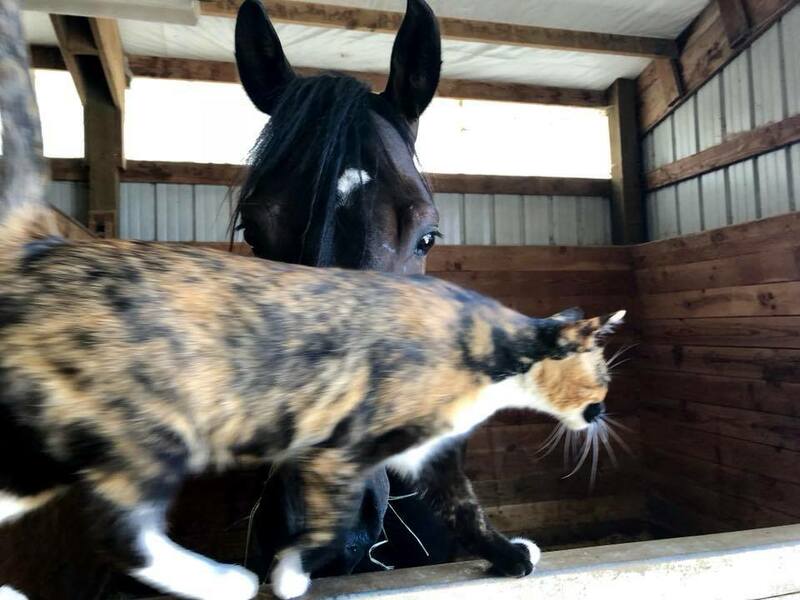 Roxanne had started her search for a riding partner but was open to finding the right match. She had been riding for a long time and had lots of experience with young, green horses. During their first ride, she looked over with a big smile and we knew it was the match she was waiting to find. Orion is finishing 90 days of training with Nick Donohue. 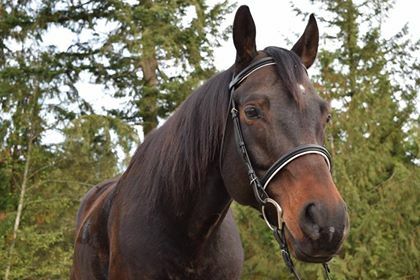 He has come a long way from his intake and has turned out to be a wonderful riding partner. He is ready to start his new life! We had a call from Nick Donohue today with a great training report on Orion. He told us that he has been able to have a few other riders work Orion and each was very successful. 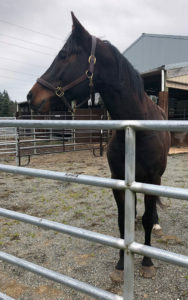 He also said that he used Orion this week as a “support” horse for a troubled horse as they rode them outside together. WOW! 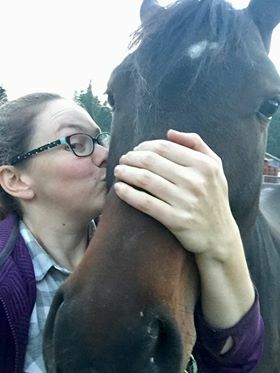 Our sweet boy is just roughly 45 days under saddle and is already able to be used to help do a job and give another horse comfort in uneasy situations. That says a tremendous amount about his quality and temperament. Nick also said that of all the warmblood‐type horses he has started, Orion is by far his favorite! How cool is that? Nick says he has a good mind and is sensitive and forward moving. All this bodes well for Orion. Combined with the terrific start he’s receiving from Nick and his kind personality, this athletic young gelding has a very bright future ahead of him! 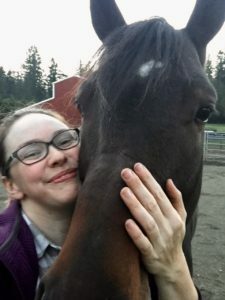 Orion has been at Silver Spade Ranch with Nick Donohue for just over a month. He has already made some great changes and is proving to be not just another pretty face. 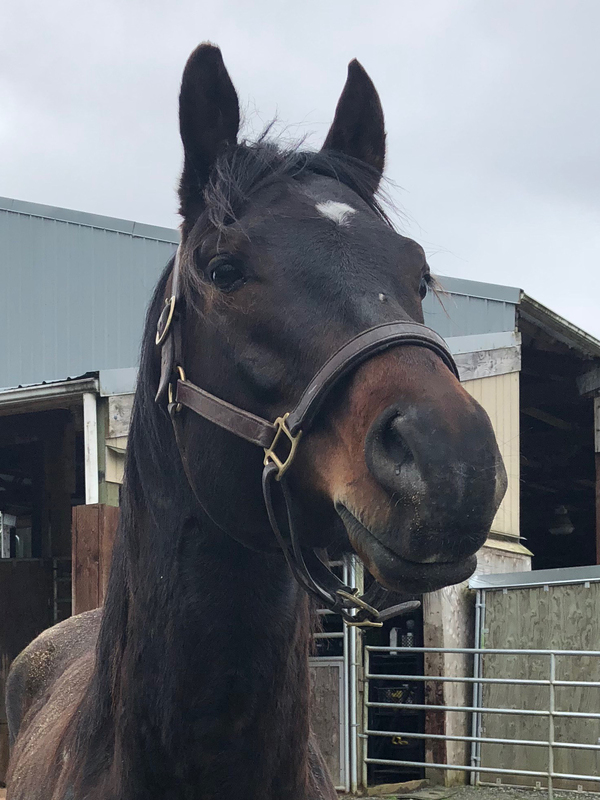 After arriving and completing his two‐week quarantine, he has been introduced to the gelding herd of around 18–20 horses! (Side note: much RESPECT to this facility and their quarantine protocols. We LOVE this type of proactive responsible farm management!) All reports of his herd behavior have been stellar. He is come a LONG way from the testosterone‐filled, untouchable stallion we met just a few months ago. He has accepted a rider very politely and is currently working well in all three gaits. He needs some work maintaining his line and steering, especially in the lope but it is improving steadily each ride. 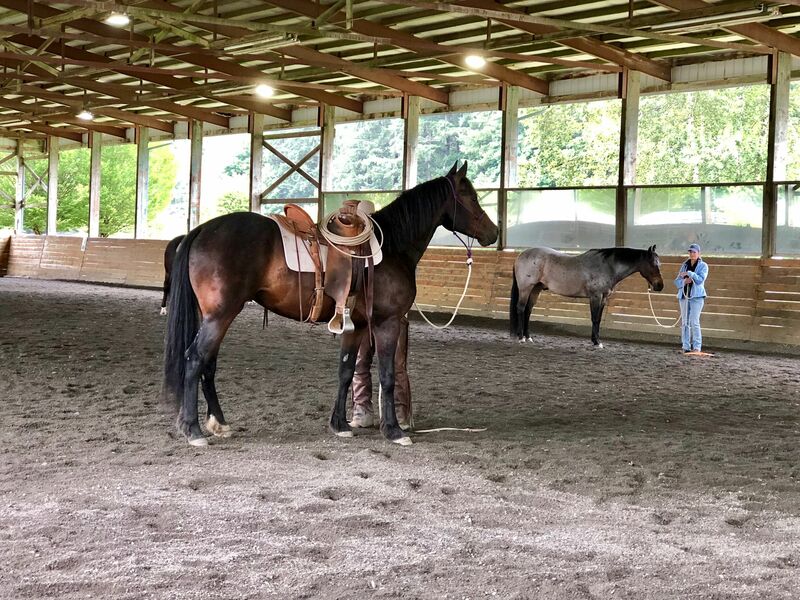 Nick has even been able to have his working student ride this past week and Orion did quite well with a new rider. He needs some work on being bridled. All he does is try to get his head in the air to avoid it but they are working on getting him sorted out. It would make sense this is a tough spot seeing that when we picked him up you couldn’t get near his mouth due to the broken tooth and massive infection. He is just a little guarded about it, but with patience and consistency, this will improve. 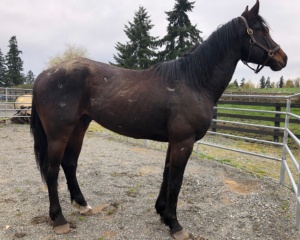 Here is what Nick had to say about Orion’s personality: “He is coming along nicely and proving to be a nice quiet minded gelding. 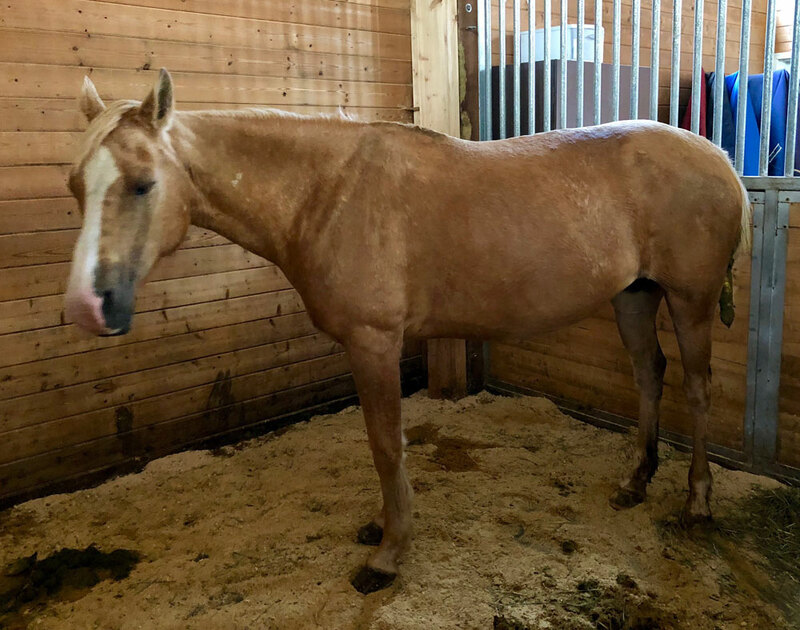 He is a smart and kind horse, he is going to make someone a nice mount!” Our plan is to visit him at the end of August and assess if he should come home then or stay another month. 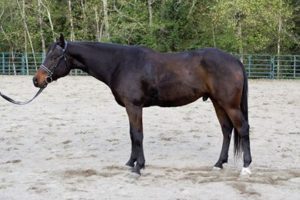 It is very important we lay a good foundation, especially since he is a late cut stallion. So far all indication are that he is going to make a great partner. He will be available for adoption once he returns from training. If you are interested in being considered to adopt him, please submit your applications now. Here are some videos of Nick working with Orion. Enjoy! Our three newest gentlemen had their first visit from the vet recently. All of them have unknown histories of veterinary care. It’s likely that Justin and Bowie have at least had dental work at some point in their past, but it’s quite possible that Orion has never had his teeth examined by a vet until recently when he had surgery to remove the fractured teeth. All three geldings had very sharp points in their mouths and were overdue for dentals. Sharp points can cause ulceration to a horse’s cheeks and tongue, making for a very painful situation. 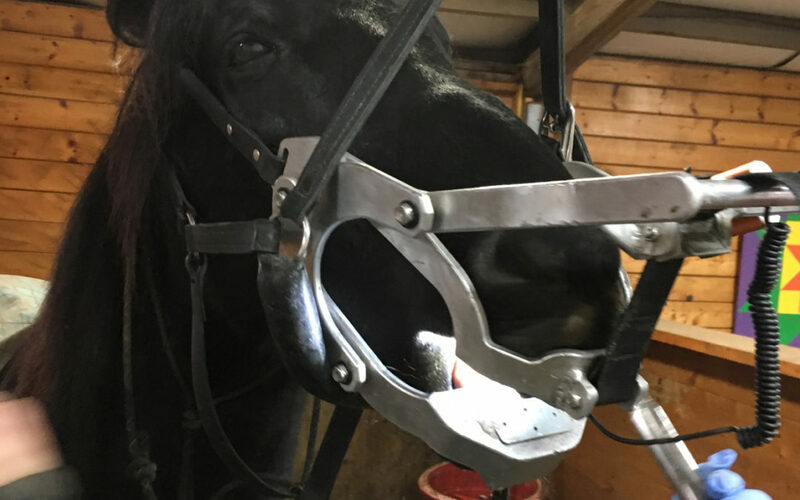 All horses that come to SAFE have dental work at least annually to prevent this and other dental problems from occurring. Bowie, Orion, and Justin all got an A+ on their manners with the vet. We had no issues with needles, and the appointment went smoothly. They’re good boys! SAFE has two new intakes to introduce to the community. Both of these horses have suffered some pretty serious neglect, and both have a long road of recovery ahead of them. Fortunately, that roads lead right through Save a Forgotten Equine and our rehabilitation team! 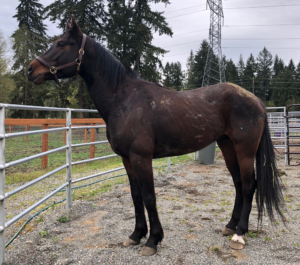 Orion is a tall, strapping young lad, about 5–7 years old, whose body looks like he’s been through a war…covered in scrapes and cuts. He also was apparently hit or kicked in the face at some point, which resulted in a fractured lower jaw and several teeth knocked askew. He’s had surgery to remove the broken teeth as well as the impacted and infected food that built up in the space, and he’s feeling much better now. He’s also got some swelling in one of his hind legs, but x‐rays came back clean and he appears to be sound on it. Amelia is about 18–20 years old and she’s recovering from neglect and starvation. 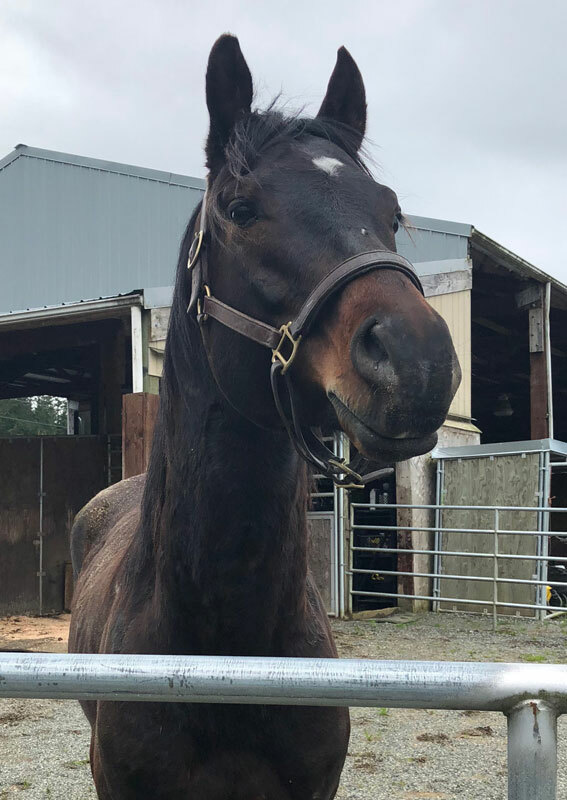 So imagine our surprise when this sweet old girl started showing signs of being in labor! Sadly it does appear that she is pregnant although at this point we don’t know if the foal is viable or how soon she might give birth. She’s under a vet’s care, and will be examined by an equine reproductive specialist from Pilchuck later this week. 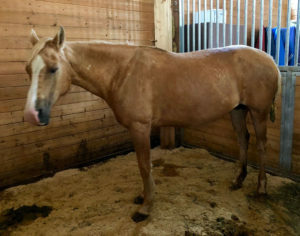 She is a very sweet mare who loves to be petted and scratched. She seems quite starved for affection, and quite happy to be loved on. 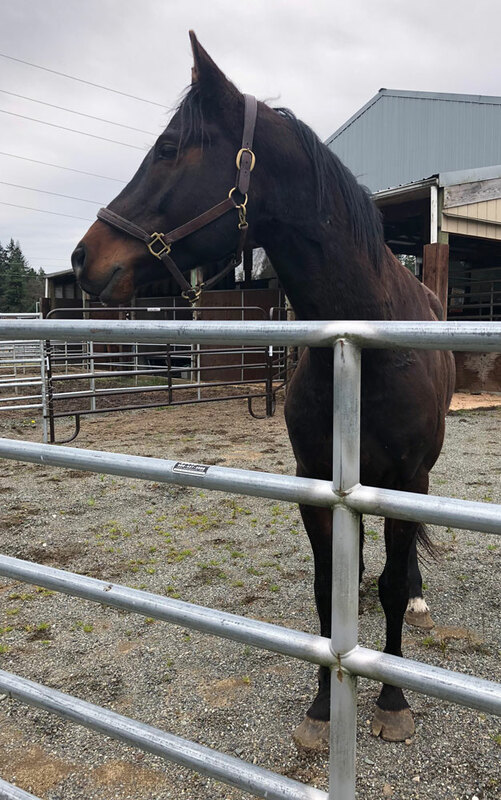 It’s times like these that we are so grateful for the people whose donations to SAFE make it possible for us to take in horses like Orion and Amelia and immediately provide them with the medical attention they need. Special thanks to Dr Hannah and NWESC for their support and caring!